List of animations in stock of Hong Kong Central Library for viewing inside Library. To search or list the children multimedia resources on language, mathematics, general studies, art and intelligence games for use. 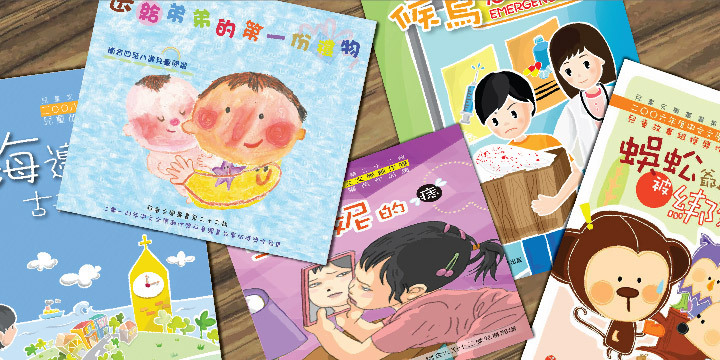 Through the award-winning Chinese children picture and story books written by different generations, readers can share the joy and novelty of the kids. Includes popular comics, historical stories, fairy tales, children songs and folk rhymes, riddles, games, daily knowledge and so on. Access to an abundance of language learning resources covering everyday conversation, business communication, travel, Chinese dialects, stories and literature for children and examination reference materials. China, as one of the four ancient civilizations, which history has more than thousands of years. Through studying Chinese history and understand different events, children can not only understand the daily lives of the ancients, but also can train up their thinking ability. And also learn the traditional virtues through the historical stories and biography of our well known antecessors. Besides, by learning the boundaries of different dynasties and ethnicities, children can understand more about the backgrounds history of China as well as the characters of different ethnic groups. Children can also make use of different resources in the Multimedia Information System to learn more Chinese history. The CD-ROM “Chu culture exhibition” introduces the ancient civilization and mystery of Chu dynasty from different viewpoints by using cartoons and relic images. The video “中華勤學故事” selects some interesting stories of famous ancients people to promote the importance of diligence. The e-book “則天皇帝. 上” describes the history and achievements of our first female emperor in Chinese history through colorful and interactive comics. Let’s travel through the thousands years of Chinese history now!